I really love soup. Enough to write a haiku about it, apparently. And this one is especially nice. 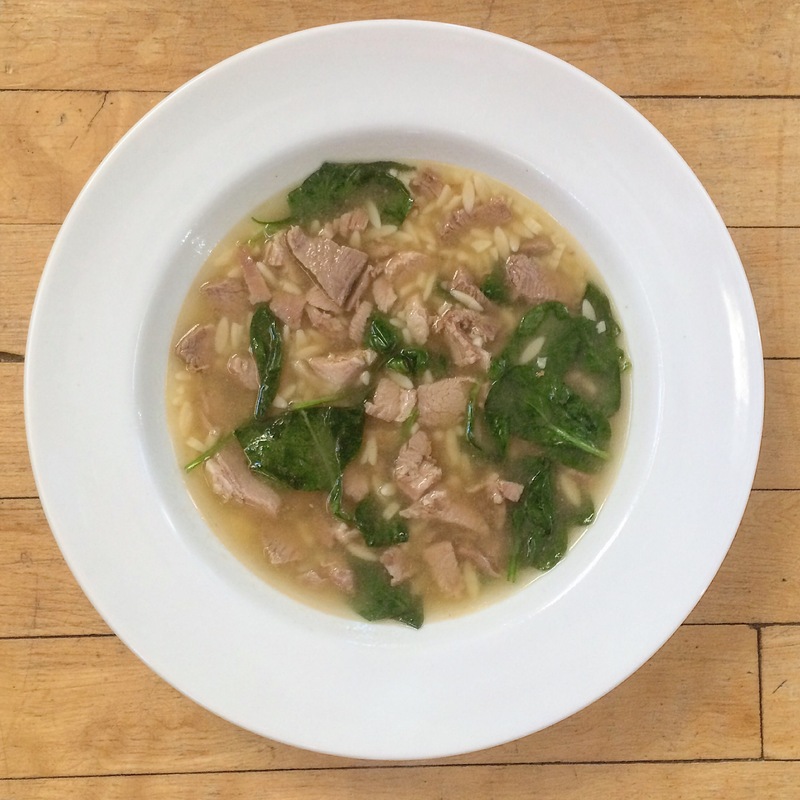 Kind of a fresh take on Italian Wedding Soup—because I’m not a fan of the meatball element. This is easier. The sesame oil and Sriracha sauce add this beautiful flare that nods to Asian influence. In a large sauce pan, heat broth to boiling and add pork (cooked or raw, either is fine). Boil until meat becomes so tender it begins to fall apart. Broth will reduce about one-third. Add salt and taste. Adjust to your liking and then bring pot back to a boil. Add orzo pasta until tender and remove pot from heat. Add spinach and stir into the soup until wilted. Then add the sesame oil and Sriracha (if you like a little heat). Serve hot. Makes 4-6 servings—or dinner for tomorrow!